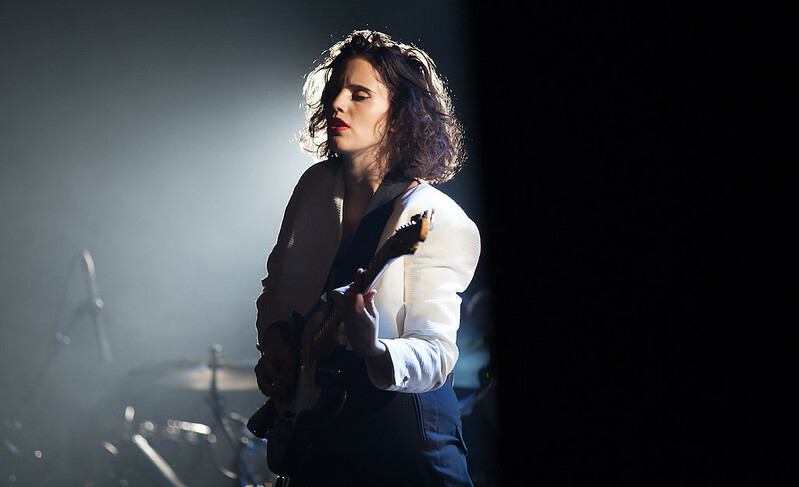 Anna Calvi is an artist cut from the same cloth as Nick Cave, St.Vincent and PJ Harvey. Unique, intriguing and completely breath-taking to see live. 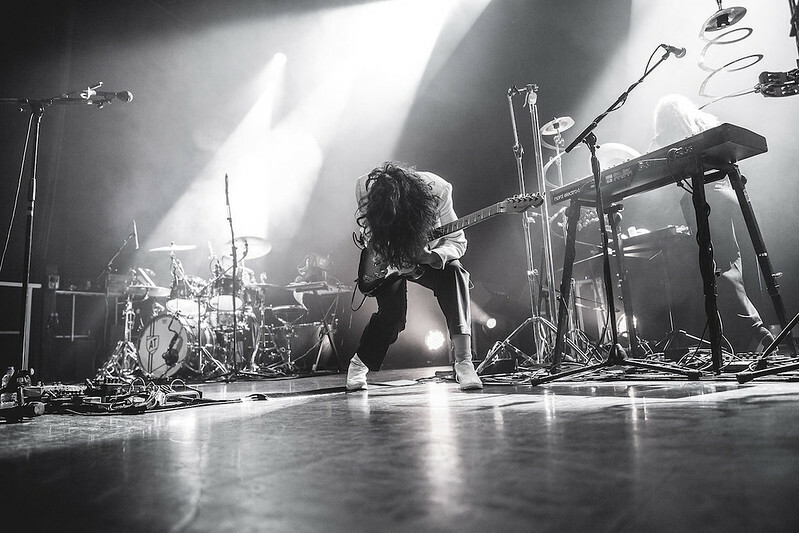 She’s one of those artists that creates their own off-kilter world and invites you in to share their vision for an hour and a half, drawing you further and further in with every note. 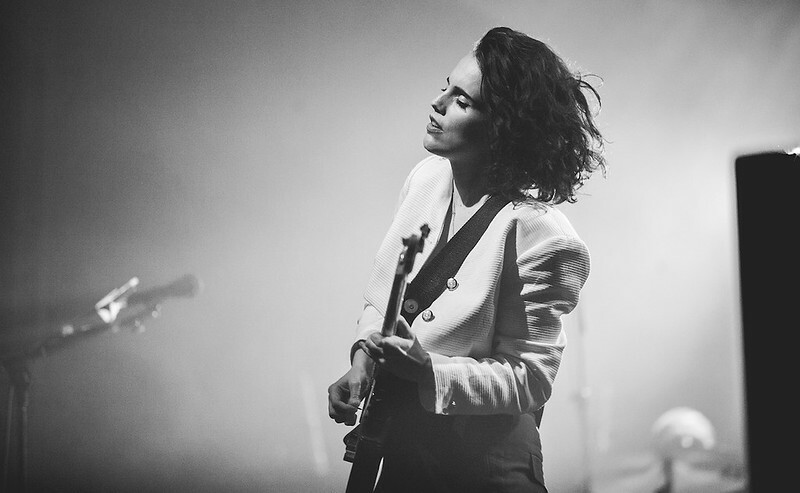 From the ‘so quiet you can hear a pin drop’ instrumental opener Rider To The Sea to the pummelling closer she takes you on a journey through her world with beautifully tender moments and primal, almost feral, attacks on her guitar. It’s truly enthralling from start to finish, and with barely a word spoken in between songs it’s purely down to the music to capture the audience, which it does. 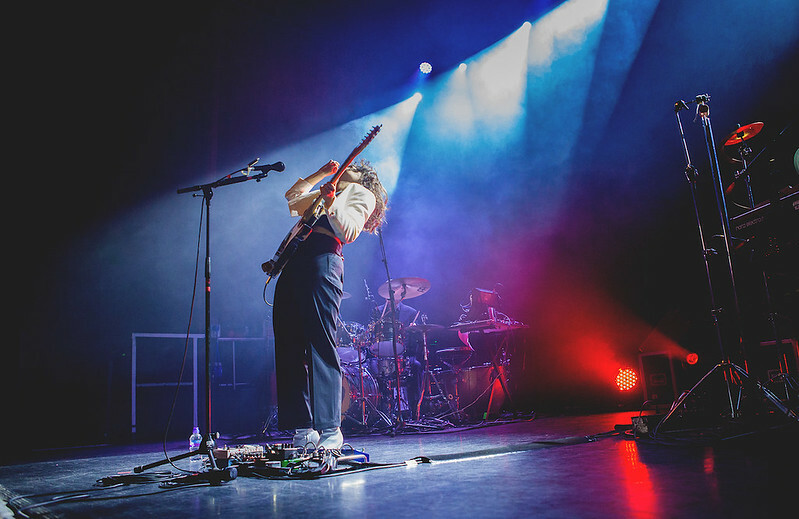 Her guitar virtuosity is incredible to watch, whether she’s simply plucking at it or she’s sprawled across the floor viciously attacking it. Her vocals are truly captivating also – from seductive to soaring and quite operatic at points. Dressed in black and white she looks like a cross between a 50s screen icon and a Spanish flamenco dancer – which only helps to add to the almost David Lynch-esque world that is being created in front of us. This could be the Twin Peaks house band we are listening to at some points. New album Hunter, her first in 5 years is a work of art and a step on from her previous two. The tracks we hear from it tonight translate extremely well live, with ‘Don’t Beat The Girl Out Of My Boy’ and ‘Alpha’ both being standouts. 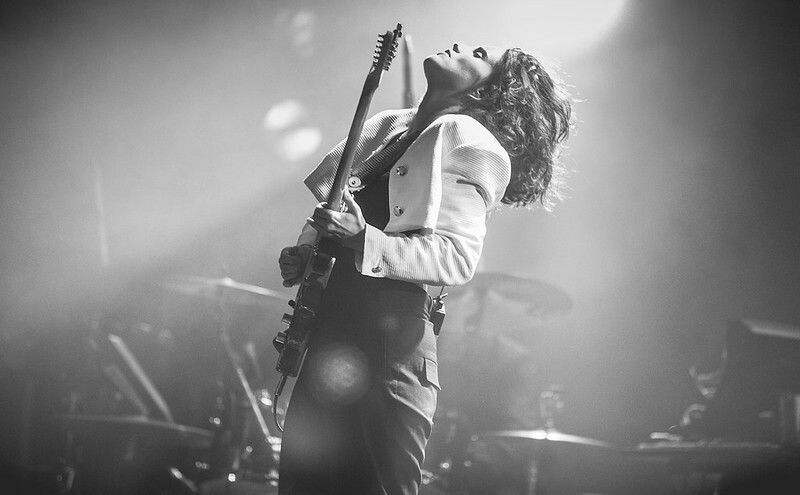 She criss-crosses the line between calm and chaotic effortlessly and after an hour and a half that feels like it has flown by in moments, she takes a bow and the lights go up, leaving you wanting more. It’s been a while since I’ve left a show feeling that exhilarated. 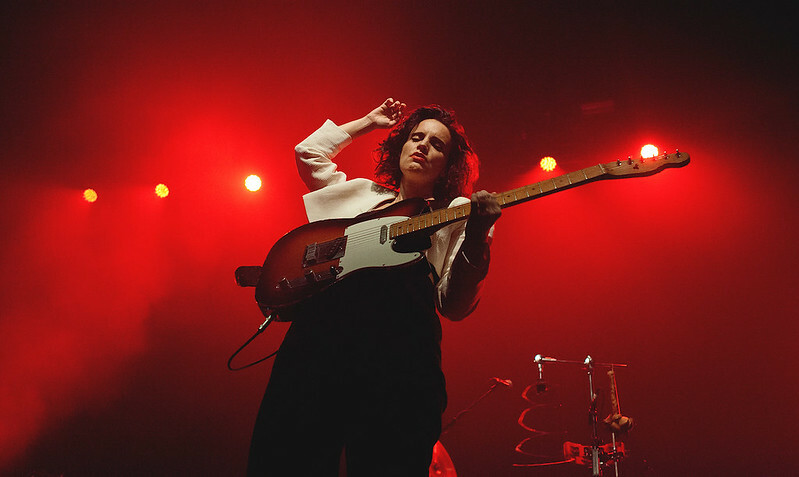 It was my first time seeing Anna Calvi but it certainly won’t be my last.